Vantage Point uses the very latest technologies in both software and controllers. Vantage Point is an extremely cost effective TCP/IP access control solution. 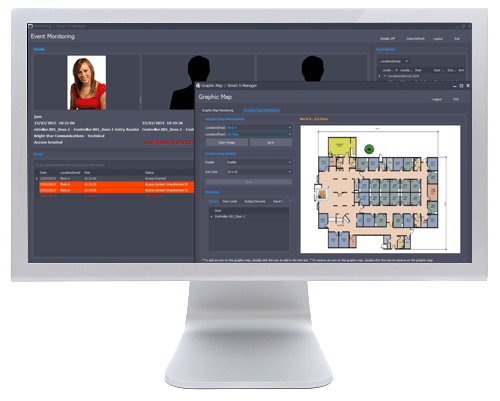 Sensor Access’ Vantage Point Software has been built utilising the latest software development tools and designed with simple and intuitive user experience in mind. The software auto-detects controllers and their card format for quick commissioning. Graphical maps, biometric integration, and full report generation are all available free of charge for up to 32 readers. 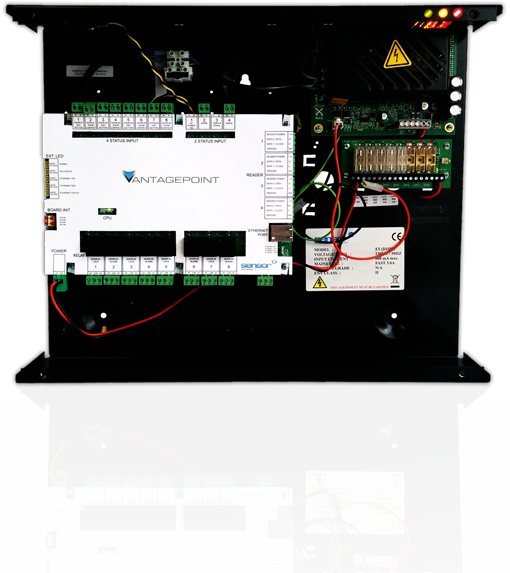 Complementing the powerful Vantage Point software, we offer a comprehensive range of intelligent controllers and expansion boards. Our VP controllers are flexible and scalable, ensuring they meet your project needs. Individual controllers can manage 2 or 4 doors with 100,000 users capacity and 50,000 event transaction buffer. Distributed intelligence architecture means simple system design, full resilience, and no downgrade in decision-making at the controller level. The VC controllers can use a variety of reading technologies. Proximity readers are the most common - the SensorProx range of readers are stylish yet practical and easy to install. All readers are epoxy filled and weatherproof, therefore suitable for internal or external applications. 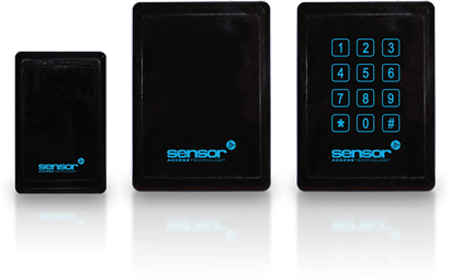 With various options in designs and configuration, it makes the SensorProx range the preferred choice for many users. Vantage Point has integration with a variety of fingerprint and iris readers. Our VP-bio reader has very smooth and swift configuration without the need for additional software. The VP-bio can also be used as a standalone device using the LCD screen for configuration.